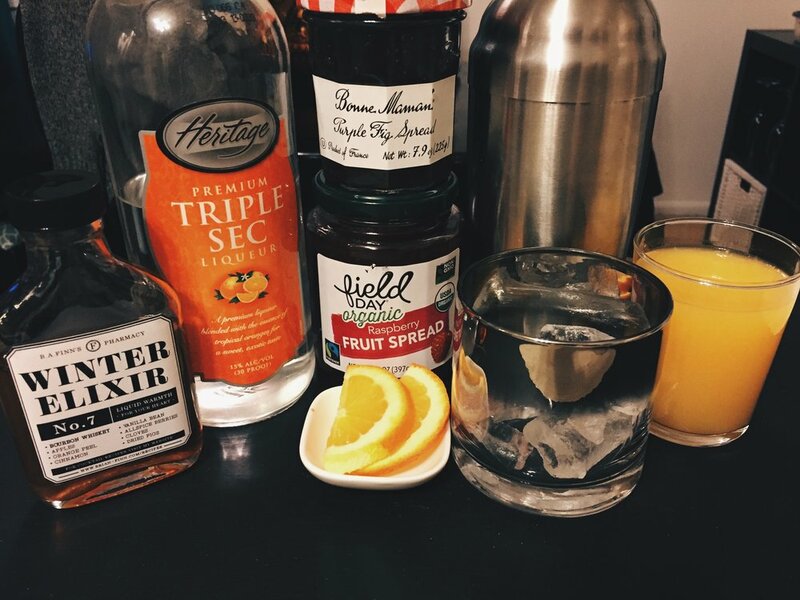 A whiskey smash is a wonderful drink for winter or summer, better with bourbon, and best with my Winter Elixir. This recipe is simple, refreshing, and plain delicious. 2 Tbsp preserves, jam, or fruit spread of your choice (I used organic raspberry and fig). Blackberry or blueberry would also make for a nice deep flavor. Fill serving glass have way up with ice. Add 1/2 cup ice, fruit spread, Winter Elixir bourbon, triple sec and orange juice to a shaker and shake vigorously for 15-20 seconds. 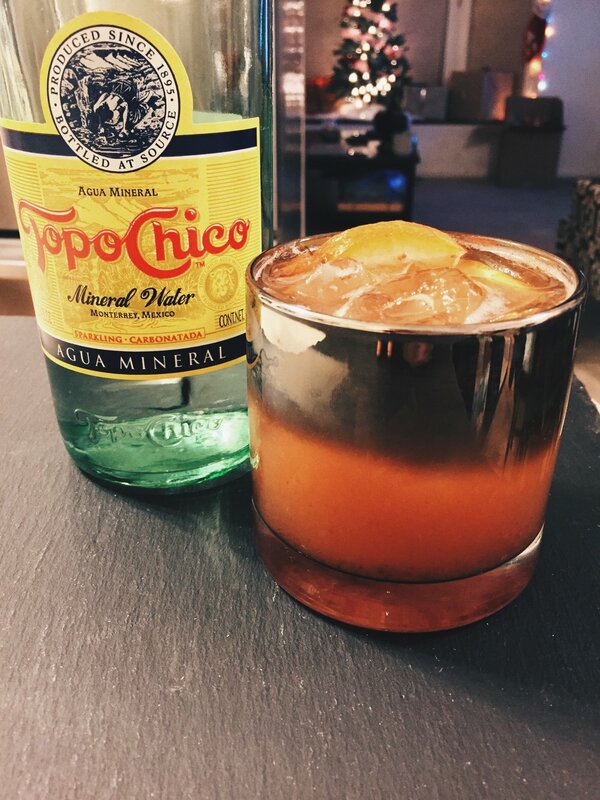 Pour in serving glass, top off with Topo Chico or club soda and garnish with the orange segments.